Are you having damaged or missing teeth? Well, if you do not treat your dental problems on time, then this can take a toll on your beautiful smile. Though some consequences may not be significant, bone atrophy or saggy facial skin can be the first step for correcting your oral issues. Sincere thanks to dental bridges and crows that can actually do wonders to fill the gaps in between your teeth and regain your lost smile. You may visit Wimpole Dental Office where the experienced dentists can help in correcting your oral issues and providing the right treatment for your need. Are the teeth colored uniformly? If not, then using a crown on the discoloured teeth will be effective. Do you have broken or decayed teeth? Is yes, then you can undergo dental crown. Do you have misshapen teeth? If so, consider using a crown. A dental bridge is usually done for single tooth or several teeth that fill up the gaps or replace decayed or broken teeth. These bridges are made of porcelain and used to restore your beautiful smile. Though teeth restoration can be done with dental crowns, a bridge is used for restoration and completion of smile if you have lost your teeth recently. These dental treatments can be matched with the color of other teeth and your dentist can tell the actual difference between a real tooth and a porcelain replacement. There are different types of bridges and crowns based on your requirement and budget. 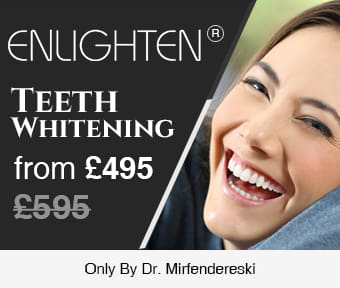 Make sure you do not pay more than the expected amount for restoring your beautiful smile. However, the exact cost of cosmetic procedures may vary depending on the dentist and treatment you need to perform. It is advised to get in touch with a prosthodontist who can help you to undergo prosthodontics treatment in London for replacing missing teeth and other oral complications.